Europe's most popular beach destinations attract the crowds for a reason — gorgeous scenery, turquoise waters, delicious seafood restaurants. 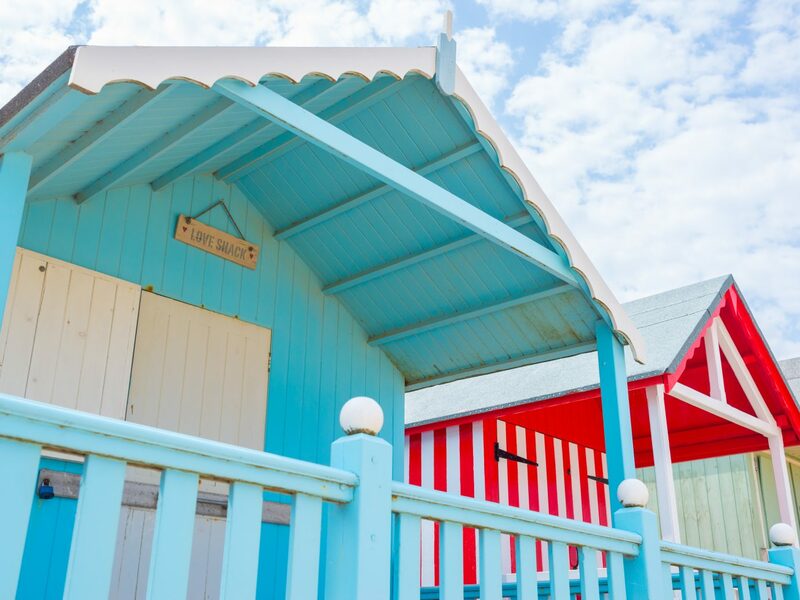 But when you want to be seaside without the crowds, it's worth looking beyond the big hitters. Read on for list of Europe's Most underrated beach towns from Sardinia to England. While tourists flock to the Italian Riviera and Tuscany each summer, Italians flee their shores and head instead to Sardinia. From here, seclusion seekers take it a step further and board a 20-minute ferry from the northeastern port of Palau for the archipelago of La Maddalena. 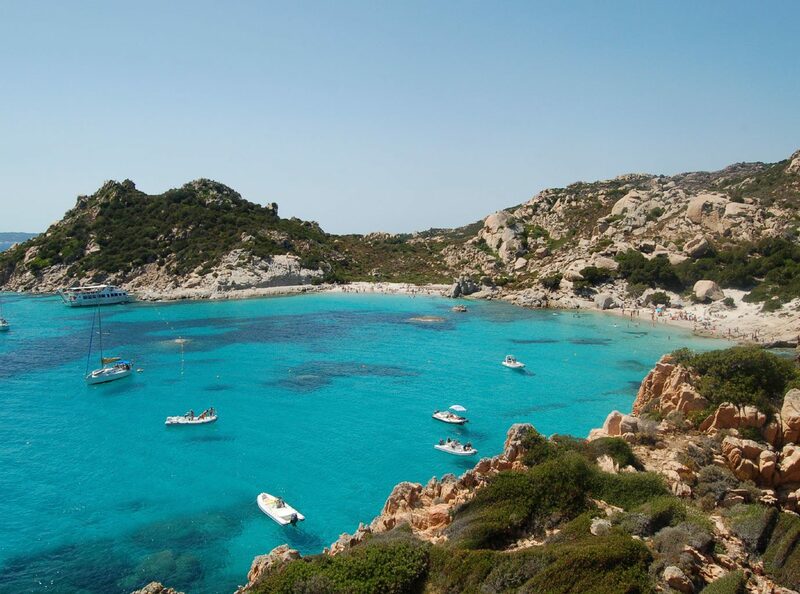 A designated National Park of just seven islands and dozens of smaller islets, La Maddalena is home to some of the most beautiful beaches in Italy but has none of the development or crowds. A NATO naval base that was in residence until 2008 meant that the islands didn't rely on tourism to support their 10,000 strong population, but did help build up a surprisingly buzzing main town, also called La Maddalena, as well as English-speaking local business owners. On the main island, head to the north coast for rolling dunes that merge with the wide white-sand beaches, or drive across the bridge to the island of Caprera, where Garibaldi was first exiled and then returned to buy a property and live out his final days. 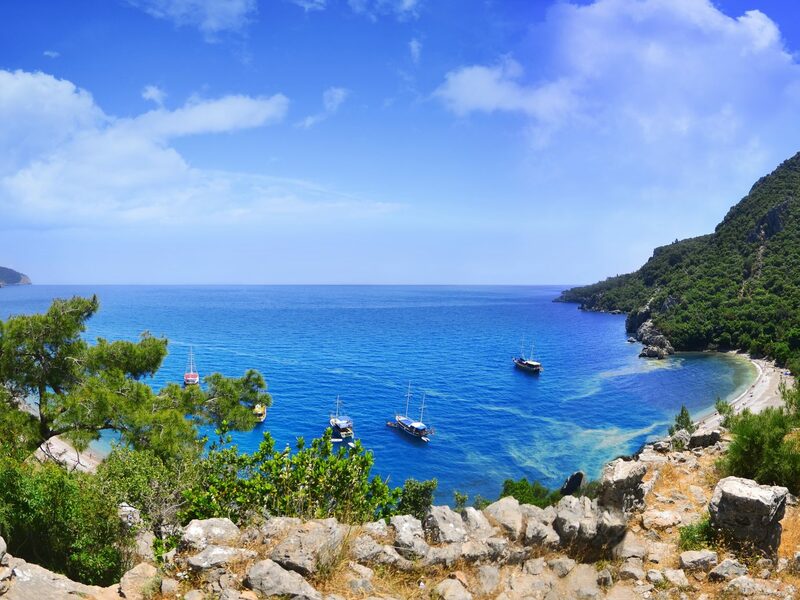 Here, Cala Coticcio is the essential stop, famous for its Caribbean-like white sand, sparkling clear water, and surrounding pink rocks and scrub. It’s accessible by boat or a challenging hike along an unpaved path that ends with a rocky descent down to the sand. In La Maddalena town, Hotel Excelsior offers simple, modern rooms with views across the yacht-filled harbor, and easy access to the restaurant-filled main square, Piazza Umberto. 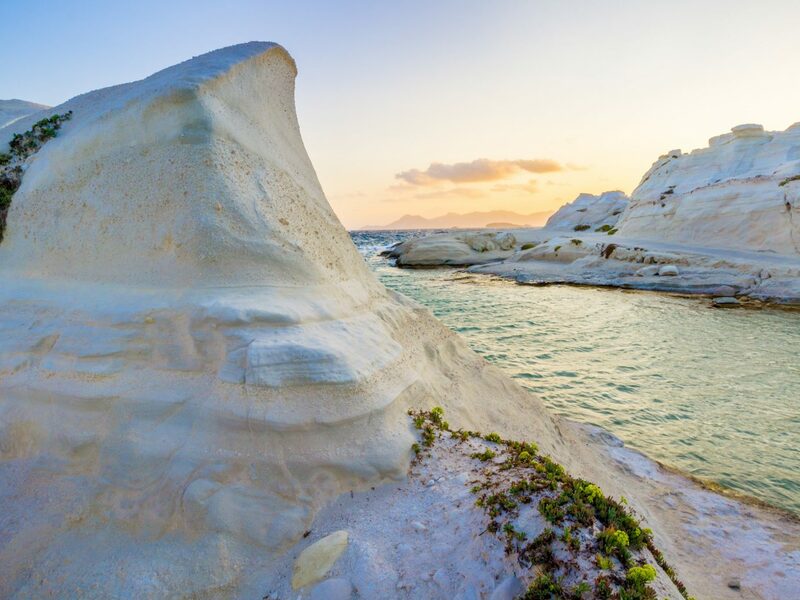 While its sibling Cyclades Islands of Mykonos, Paros, Naxos, Santorini and more get all the attention, beautiful Milos remains quietly under the radar. 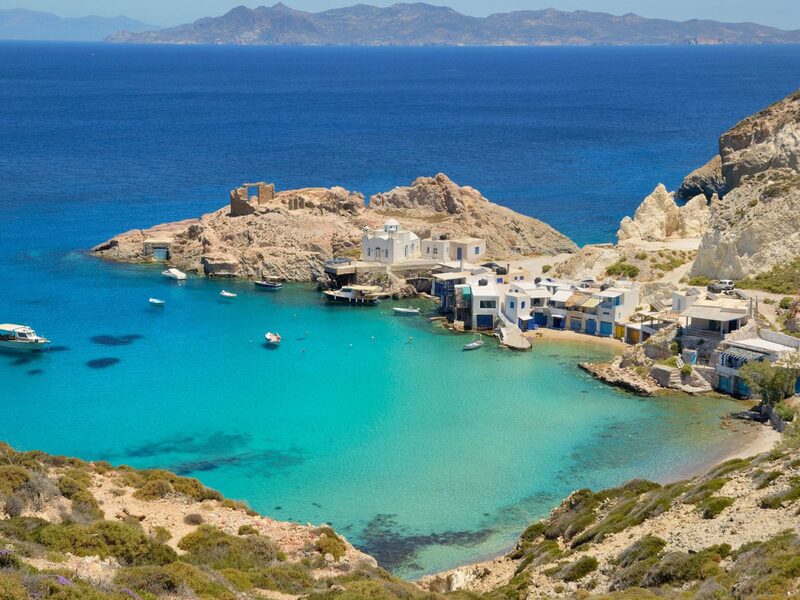 Accessible by plane from Athens or ferry from numerous ports, Milos instantly rewards visitors with a bounty of pristine beaches, known for their turquoise waters set against a color wheel of orange, pink and bright white cliffs. 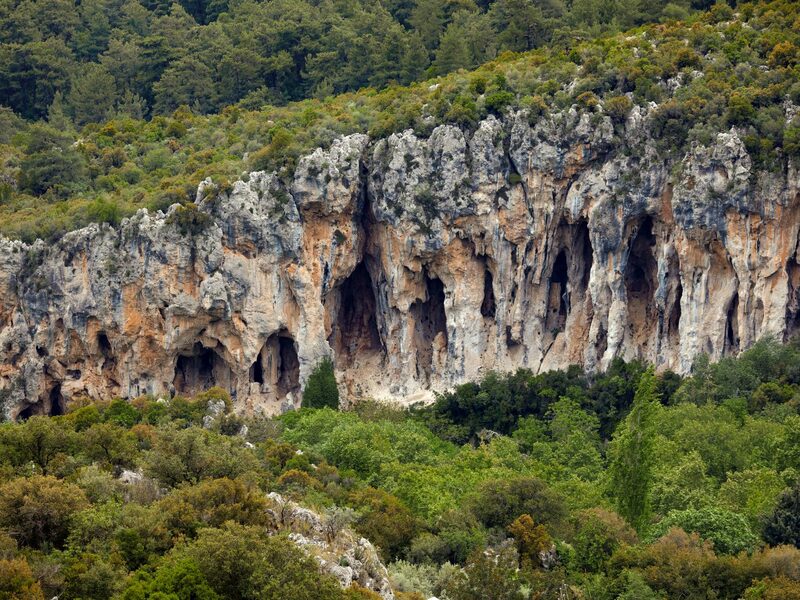 The sandy shores Palaiochori, Firiplaka, and Tsigrado are the most popular, while Sarakiniko and Kleftiko are worth the trek to see the brilliant white rock formations and caves carved over centuries by the sea. 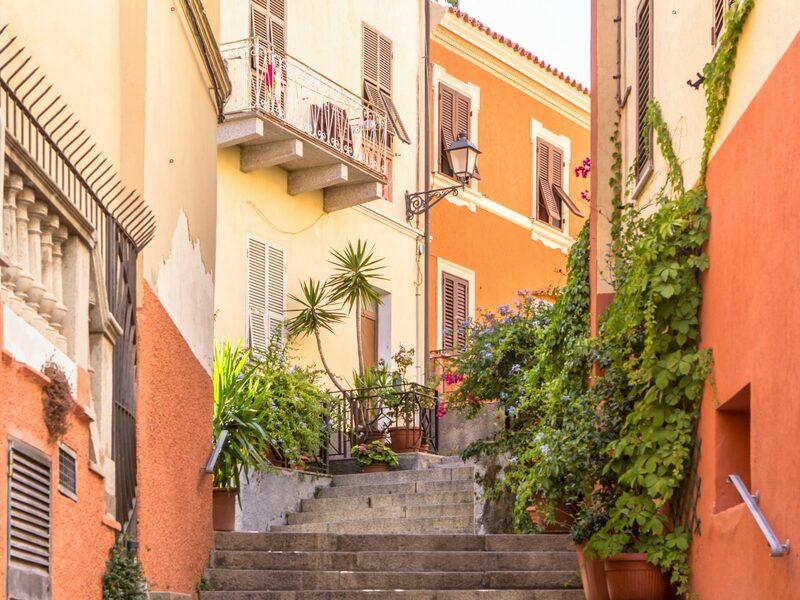 The main town of Plaka is a labyrinthine creation of narrow, winding streets today filled with simple tavernas and souvenir shops, all leading to the islands impressive castle, Kastro. 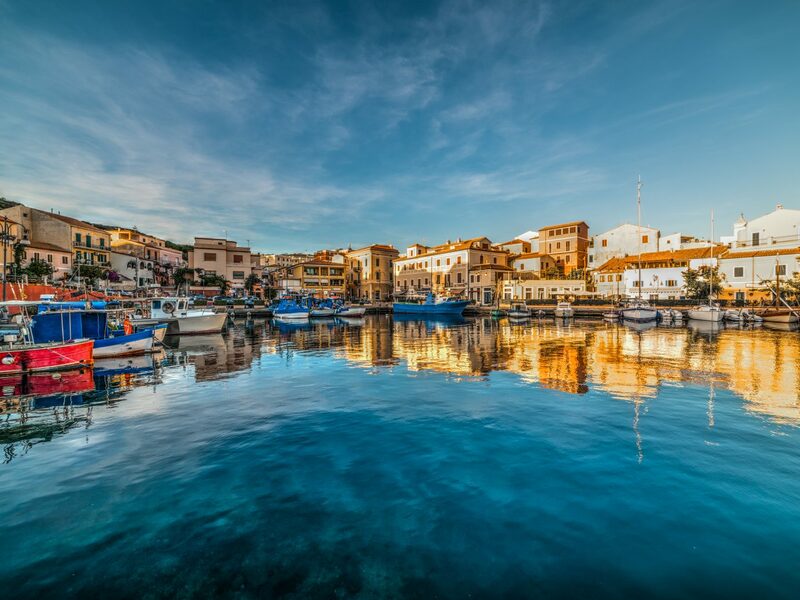 Make the trip up at dusk to catch the spectacular display as the sun sets into the Aegean, then head back into town for dinner at alfresco Kri Kri or traditional Greek taverna, Archontoula. 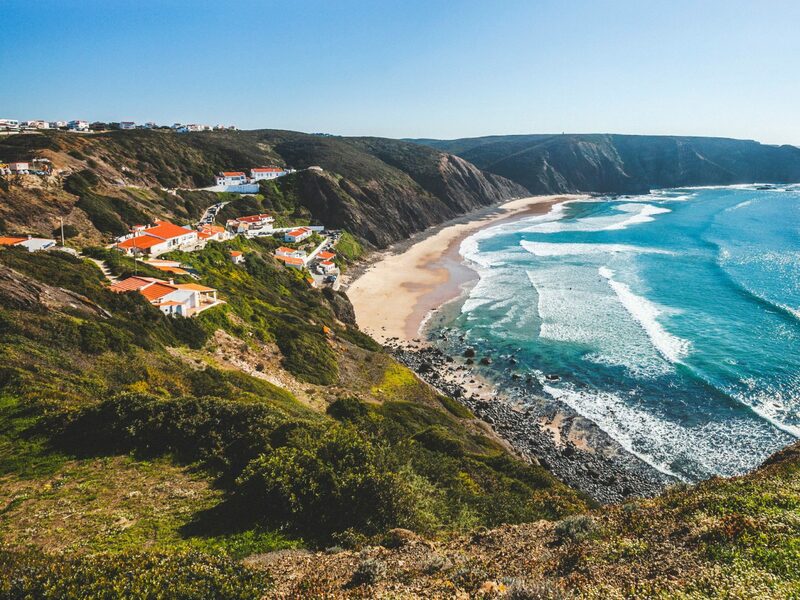 Between Lagos and Cape Sagres, Salema represents a different side to Portugal’s Algarve. 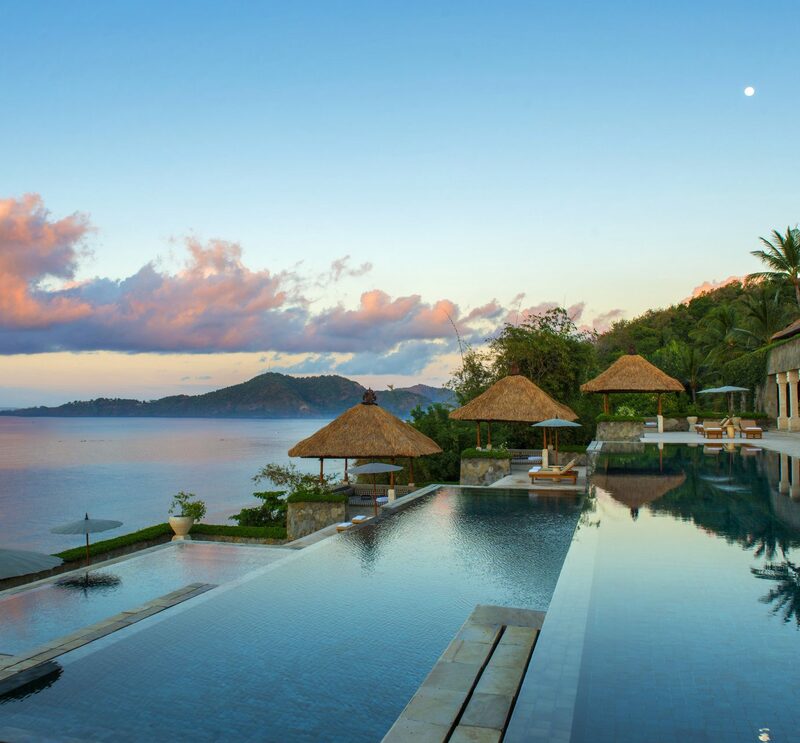 Fewer resorts, no crowds, and wild beaches. The half-mile-long stretch of sand is finer and whiter than along the neighboring west coast, and the crystal-clear waters free from the plastic waste and seaweed ubiquitous along many of southern Europe’s beaches. 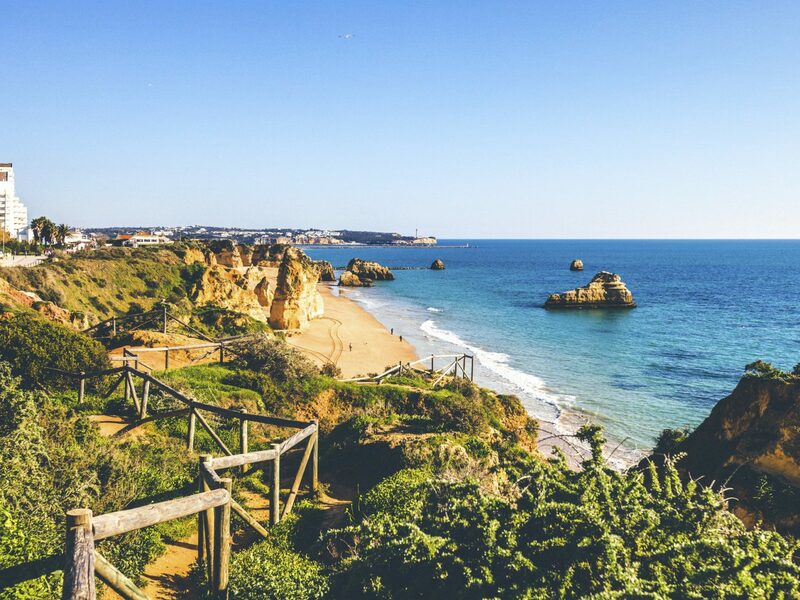 But not just for beach lovers, Salema’s beach is also a playground for amateur geologists, who can dig for fossils in the limestone rocks dating back 150 million years, and nature lovers, who will spot distinctive hoopoe birds during the warm summer months. 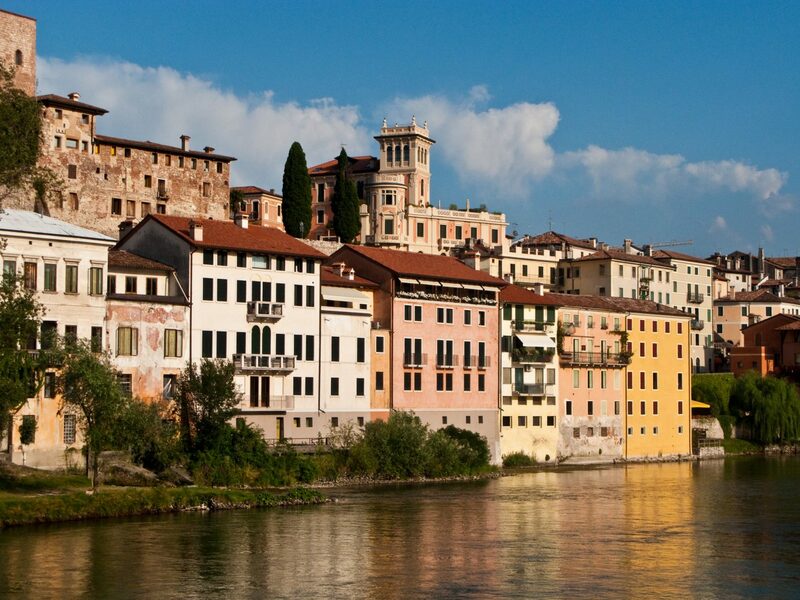 In the small, walkable town, the only to-do item is eating. 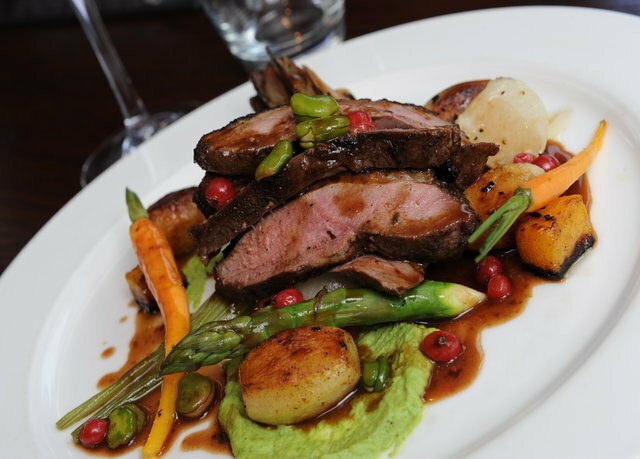 Specifically, eating as much fresh fish and seafood as you can handle on a short trip. 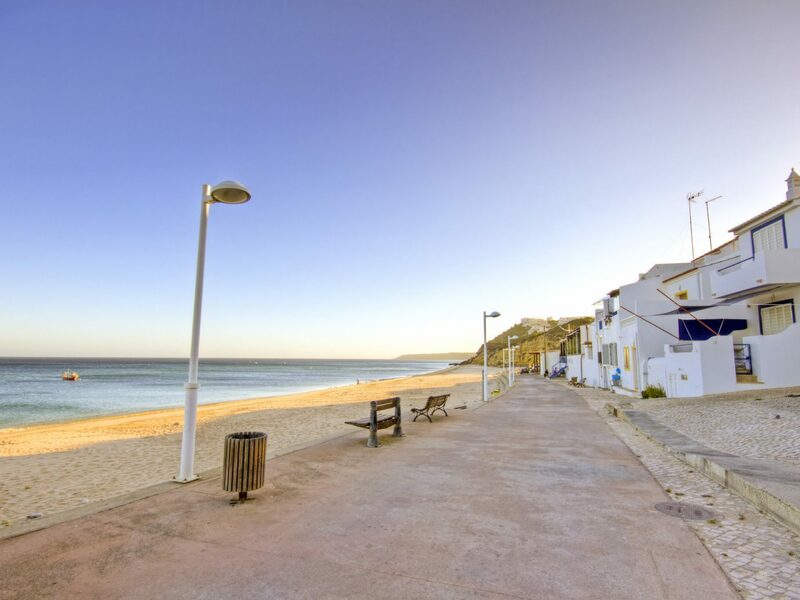 Beachfront Boia is a favorite, as well as Atlantico on the main square, and Olhos N'agua Restaurante back on the beach. Bed down at the resort-style Salema Beach Village, or consider a no-frills quarto, which are dotted all over town. 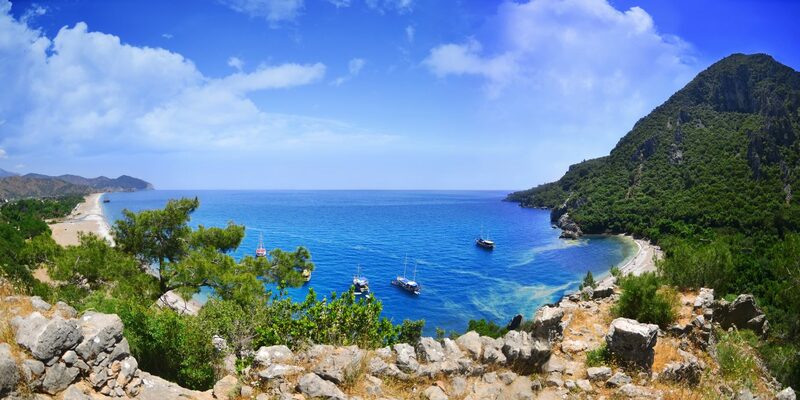 In the southwest of Turkey, around an hour from the resort enclave of Antalya, Cirali is an unassuming town between two rocky hills, with a gorgeous pebble-and-sand beach fronting the Mediterranean Sea. 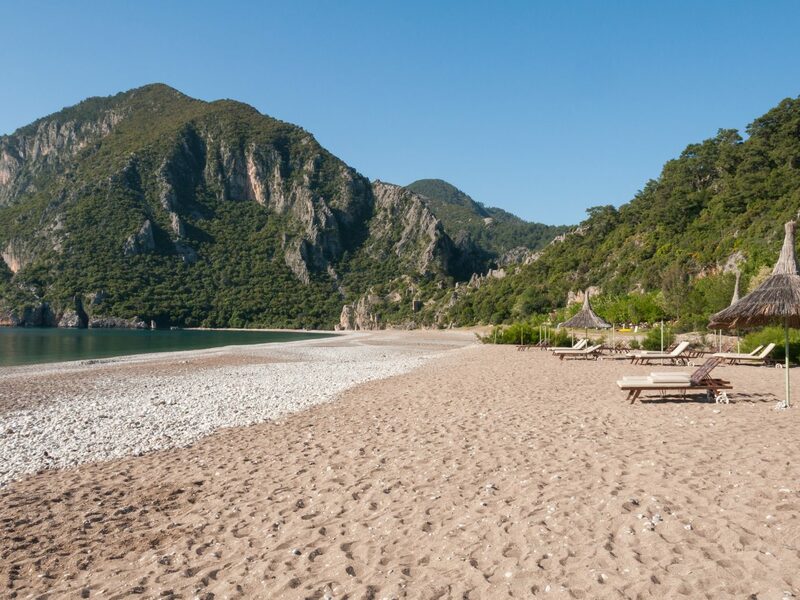 The region’s National Park protections shield Cirali from rampant development, which would have been inevitable given its proximity to the ancient city of Olympos and the eternal flame of Chimaera, the presence of seasonally nesting loggerhead turtles, and that two-mile-long beach. Most visitors set up camp on the stretch of sand closest to town, where a handful of beach bars and restaurants set up sun loungers and shades for customers. There are also outlets with sea kayaks, snorkeling equipment, volleyball nets and balls, and bikes for rent. Beyond the sun worship, don’t miss the 30-minute walk south along the beach to Olympos (today popular with the backpacker crowd), or head inland for a steep, hour-long walk to see the flames of the Chimaera in action. Hotels and campgrounds dot the center of town, ranging from the sprawling Cirali Hera Hotel, popular for its enormous outdoor pool and leafy grounds, to the eco-focused Myland Nature Hotel, done up with simple cabin-like rooms and hammock-strung gardens. 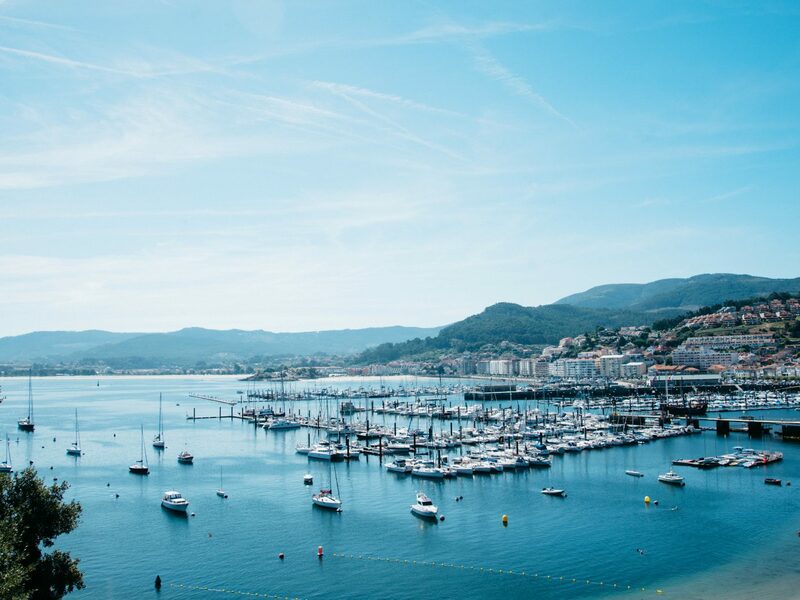 A collection of just three islands a one-hour ferry ride from the Galician city of Vigo in northwest Spain, the Cie Islands are a nature lover’s dream and home to the exceptional, oft-awarded white-sand beach, Rodas. 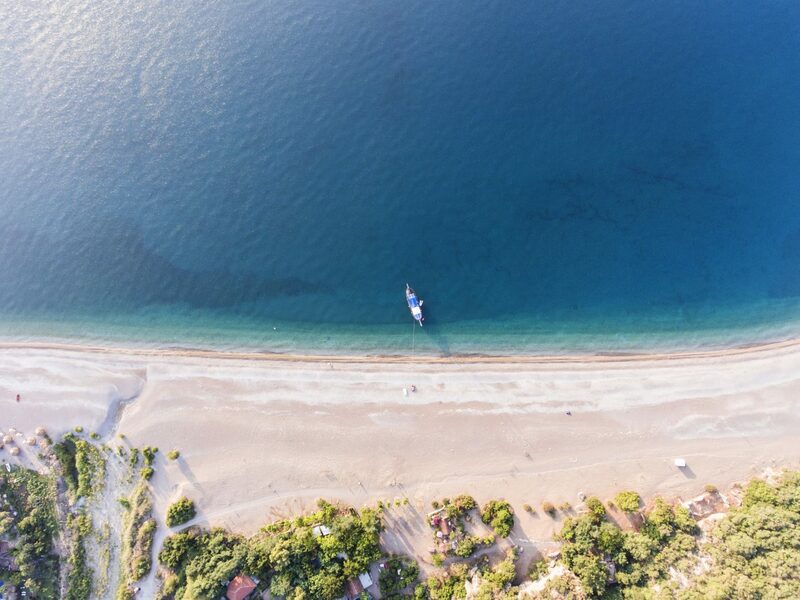 More reminiscent of the Caribbean than coastal Spain, this stretch of sand sparkles white against an undeveloped landscape of wild scrub and acacia trees, and invites snorkelers to paddle about in the shallow waters and sun seekers to flop on the sand with pre-packed picnics. Now part of the Galician Atlantic Islands National Park, there are no buildings, cars or bikes on any of the islands, but 2,200 visitors a day are permitted from June to September, and there’s an 800-pitch camping ground beside Rodas beach. 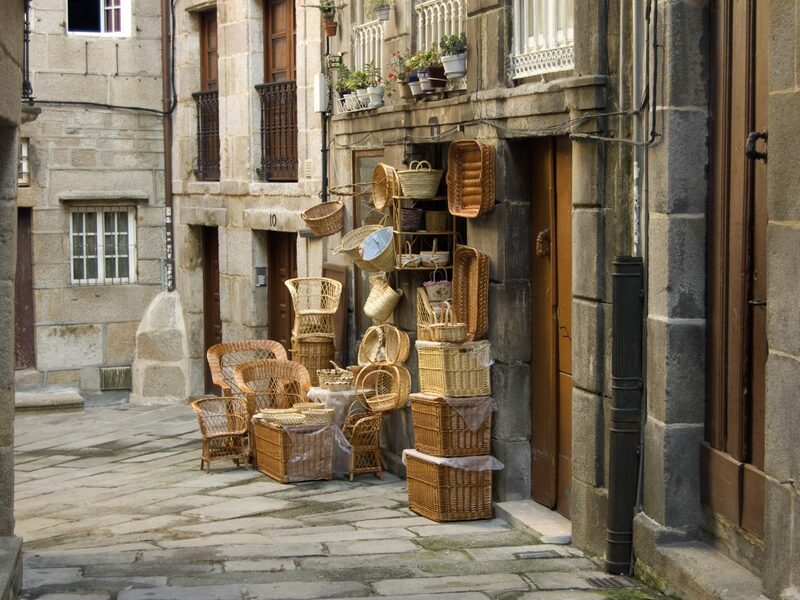 Homebase, then, is Vigo, the largest city in Galicia. 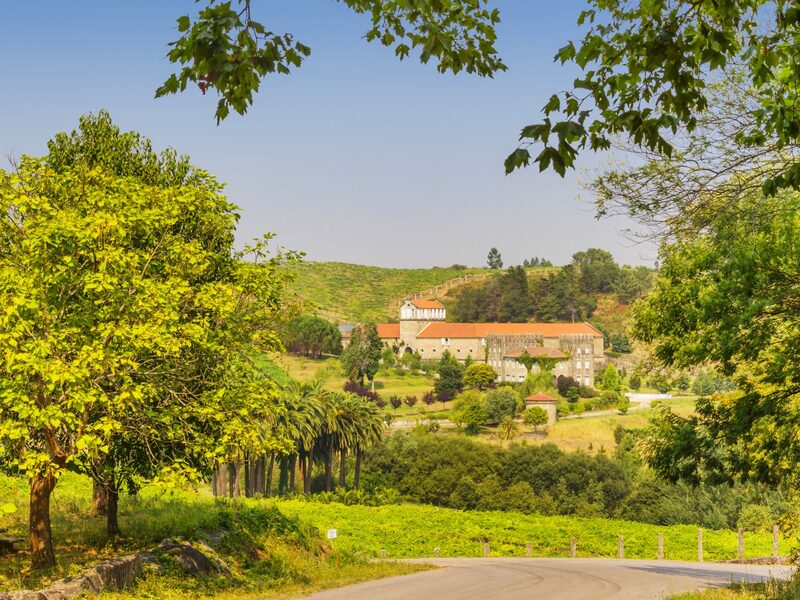 Not as immediately beautiful as the capital, Santiago de Compostela, the old town is filled with historic buildings and hipster cafes, while the promenade-lined waterfront is the neighborhood for serious seafood restaurant and the region’s signature smokey octopus dish. 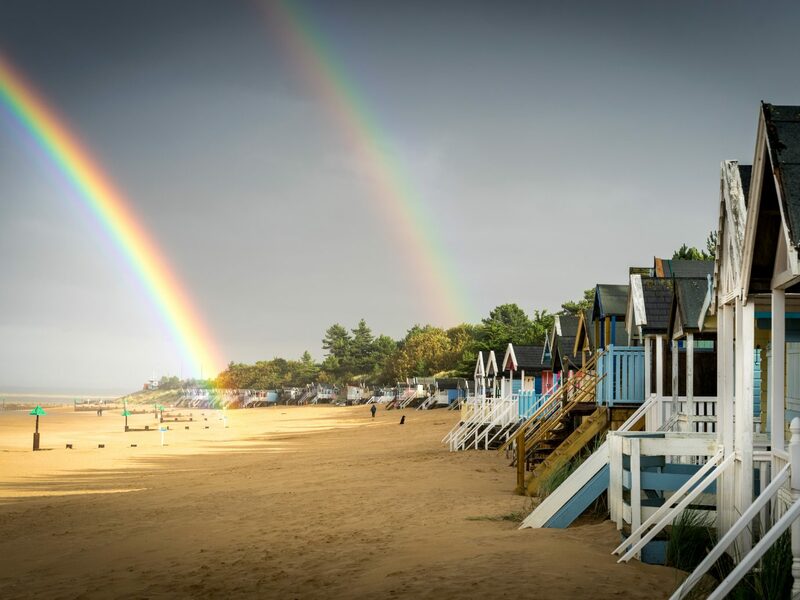 Around 150 miles north of London on Norfolk’s north coast, Wells-next-the-Sea is a favorite holiday spot with British travelers, but little known among international crowds who head straight to Cornwall’s sunny shores or the Cotswolds chocolate-box villages. 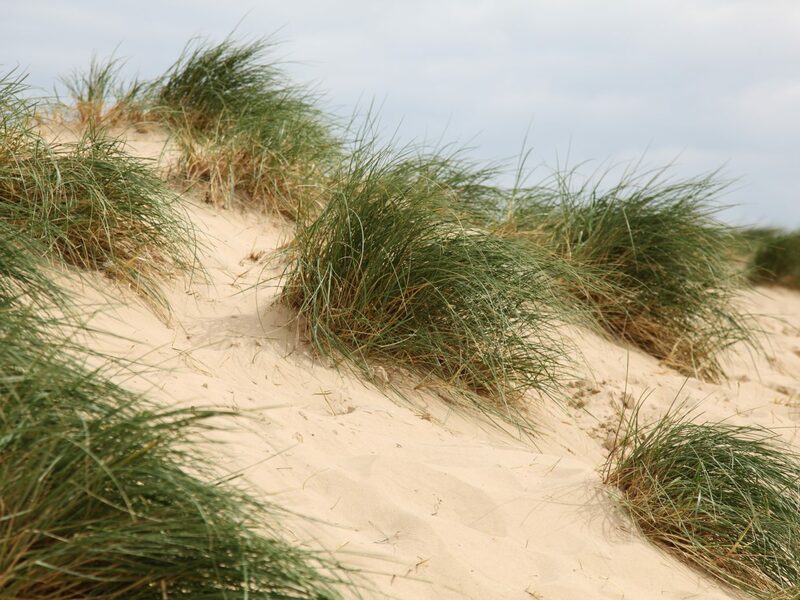 As the name suggests, beautiful Wells is a seaside town with one very rare (for England) treasure: a one-and-a-half-mile-long golden-sand beachfront — fans of the movie Shakespeare in Love will recognize it from the closing shot of Gwyneth Paltrow walking along the sand. The real thing is just as impressive, dotted with quintessential candy-colored beach huts and backed by a historical pine tree forest, which is a haven for birders. The Quay is at the heart of the action in town, flanked by traditional fish ‘n’ chips shops, ice cream parlors and throwback sweet stores. Fish for crabs off the harbor walls, try the local cockles delicacy, or simply watch the fishing boats come and go into the harbor. 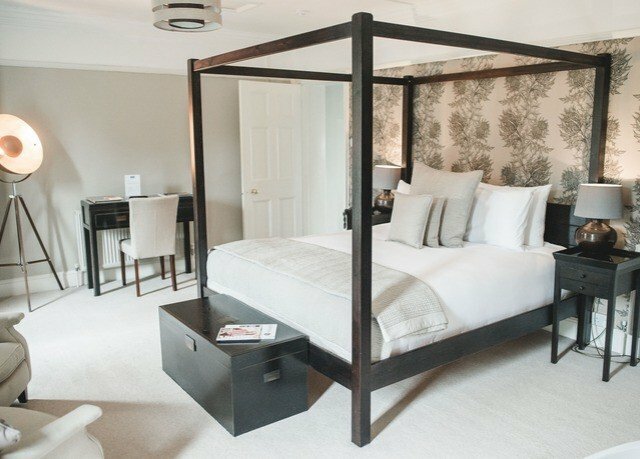 Accommodation options run the spectrum from holiday cottages and B&Bs to restaurants with rooms, like the charming Globe Inn and Wells Waterfront Bed & Breakfast.